Join us on Bridge Street for our 3rd annual SantaCon. We will meet at Heartmade Boutique beginning at 2pm and descend upon Bridge Street and it’s businesses spreading holiday cheer! We encourage Holiday characters of all varieties to come spend a fun-filled afternoon on Bridge Street in the Historic Ashtabula Harbor. Time: Noon to 6 pm each day. 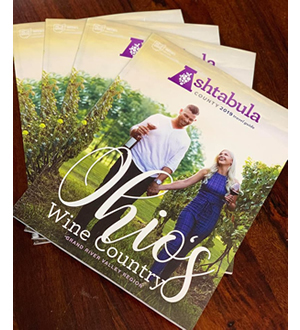 travel this self-driving tour along the Vines & Wines Trail in Northeast Ohio. At each participating winery, you will receive complimentary appetizers and samples of wines. You will pick up your 18″ Christmas tree at your first stop. At each winery you visit, you will receive an ornament to decorate your tree. Reservations required. This event will sell out. Grand River Cellars in Madison, Ohio will have to be your first stop. They will give you a ticket that you must have to continue on the trail. 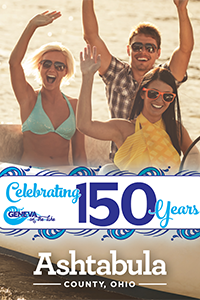 Experience over 70 displays on Lakeshore Park’s 54 acres of rolling hills and majestic Lake Erie backdrop. This holiday light attraction with some displays “as big as a truck”, is great for creating family memories and family fun. Make it an annual family tradition to enjoy professional light displays in a beautiful picturesque setting. Over 70 fabulous light scenes. Amazing interactive displays at the Gingerbread House and Santa’s Ice Castle. Historic Roscoe Village cheers on the holiday season with its Christmas Candlelighting Ceremony. Share in the tradition of lighting the Christmas tree and participate in lighting your own candle as “Silent Night” is heard throughout the crowd. 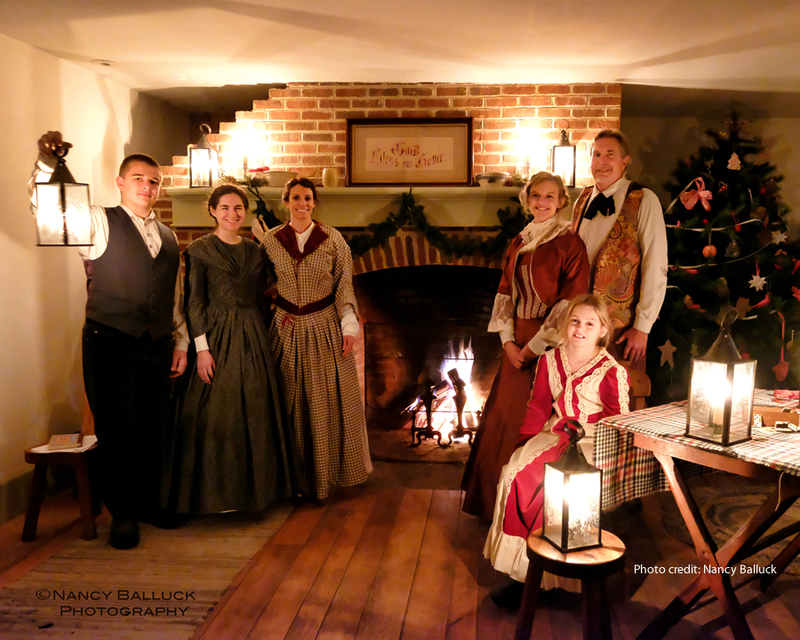 During the day, guests can enjoy visiting with Santa, taking horse-drawn carriage rides, listening to strolling carolers, tasting roasted chestnuts, sipping complimentary hot-mulled cider and cookies as well as many other holiday festivities. 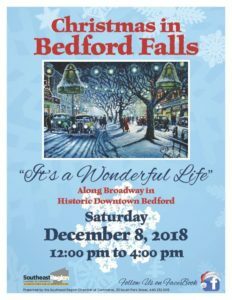 One day a year, by mayoral decree, the City of Bedford changes its name to Bedford Falls – a place where everyone matters and makes magic and where every time a bell rings, an angel gets its wings. This year Mayor Koci has declared that the first Saturday of December is when the magic will happen. Lights will sparkle a little brighter, the shops on Broadway Avenue will be giving out FREE holiday treats and fun will be had by all! 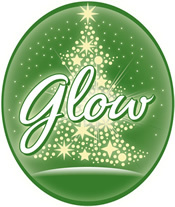 Glow, a Northeast Ohio holiday tradition, returns the day after Thanksgiving, transforming the Botanical Garden into a winter wonderland filled with all of the sights and sounds (and smells) of the season! Glow features over 100 fragrant firs bedecked in holiday cheer, hand-crafted gingerbread houses, hundreds of winter plants, and endless hours of family fun. Dazzling new lights will bring the outdoor gardens to life, which you can enjoy well into the night with new extended hours. Our younger visitors will enjoy rides on the Garden Express train and playing in our expanded Evergreen Adventures play area. Hours: Fridays, 3-8pm; Saturdays, 1-8pm; Sundays, 1-6pm. Christmas Wonderland and Gift Shop will open on Friday, November 23rd and run until January 5, 2019 and is located in the Visitor Center at Fort Steuben Park, 120 South Third Street in Steubenville. The Eastern Gateway Community College “Sights & Sounds of Christmas: Nutcracker Magic 2018” Parade takes place along Fourth Street in downtown Steubenville on December 8th at noon. “The Wooden Heart Follies II: The Wooden Boy” Nutcracker Musical Production: December 1st, 2nd, 8th & 9th, at 4:00pm. Tickets: General Admission, $10; Student, $5, Under 6, free. Location: Sycamore Youth Center, 301 North 4th Street, Steubenville. 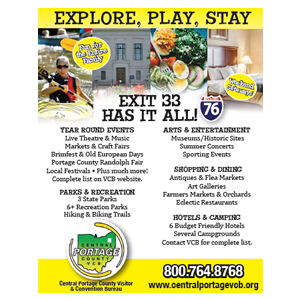 Tickets on sale at the door or the Fort Steuben Visitor Center, 120 South 3rd, Steubenville. 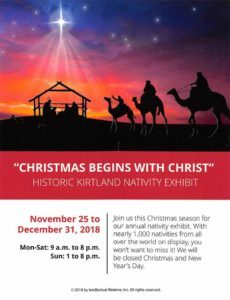 Join us this Christmas season for our annual nativity exhibit. With nearly 1,000 nativities from all over the world on display, you won’t want to miss it! We will be closed Christmas and New Year’s Day. Join the elves of Girl Scout troop 50106 in celebrating the holiday season. Enjoy two hours of games, crafts, snacks and even a visit from a very special visitor! It’s our second annual holiday event with 10 new stations of activities for kids to enjoy – even a reindeer-cam! 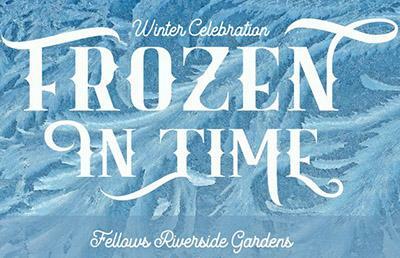 Join us for Winter Celebration – Frozen in Time, a sparkling winter wonderland brought indoors as we celebrate the Garden’s Diamond Anniversary! Plus, enjoy the annual holiday tree walk, scavenger hunt and the seasonal blooms. Accepting donations of non-perishable food items for Second Harvest Food Bank of the Mahoning Valley. Experience the Christmas season on the farm. Santa will bring his reindeer and sleigh for photo opportunities. We will offer a ride on a horse-drawn sleigh & also offer wagon rides. Fires & smores for toasting will be for sale. Our Gift Barn will be stocked with local favorites & holiday items for sale. Open Tuesday-Sunday through January 6th. Extended hours, shorter lines during the week. Mark & Dana Klaus and their team have been working non-stop to bring you Magic of Christmas for the entire family. 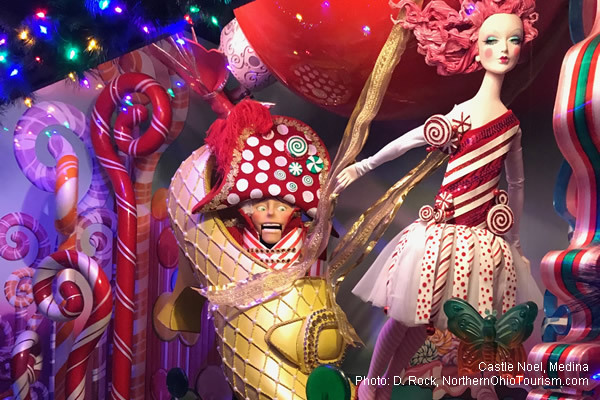 Don’t miss the brand new “Reflections Around the World” Infinity room, featuring millions of jewels glittering all around you while NYC Bloomingdale’s “Around the World” animated Christmas window display rotates and amazes. Absolutely breathtaking. Reservations recommended. Walk-ins available. Noon: Holiday Movie at Liverpool Township Community Center. Bring blankets, pillows and your holiday spirit. Chairs, refreshments available. You’ll also be able to register for the Reindeer Dash. 6pm: Holiday Sing-a-long! Join local community choirs hosted this year at Zion Lutheran Church, 2233 Abbeyville Road for a concert, Christmas carols and refreshments. 10am: registration for the Reindeer Dash Fun Run/Walk, Mill Stream Park. Prizes awarded for creative costumes and group participation. 11am: start of all activities: Reindeer Dash Fun Run/Walk, Chili Cook-off, Holiday Marketplace, Cookie Decorating, Train display viewing, shopping, eating, sharing holiday spirit! 12:30pm: Santa Claus is coming to town! Reindeer Dash winners and the Buckeye Marching Band Parade with Santa as he arrives in town. 1pm: Meet and Greet with Santa at the Depot until 4pm. 3pm: final voting for your favorite chili as local business owners vie for bragging rights in the first ever Christmas in the Valley Chili Cook-off. Times: Friday and Saturday: 6:00 p.m. – 10:00 p.m.
Sundays and Weeknights: 6:00 p.m. – 9:00 p.m. The show is FREE to the public to come out and shop the event in the museum main hangar!! Stop on out and check out the selection & special discounts at the museum gift shop! Shop local!! DATE: Saturday, December 8th & 9th, 2018 ** We’ve made this a 2 day show!!! 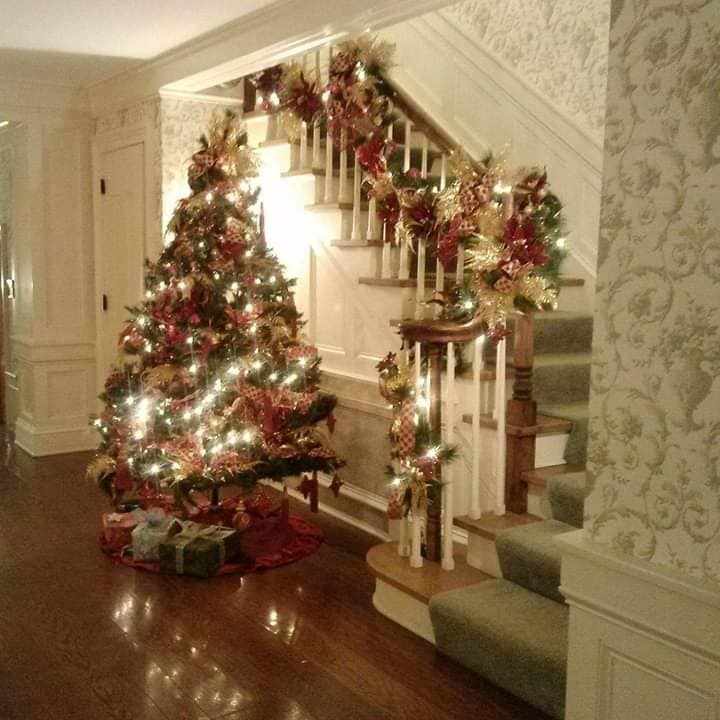 Tour Louis Bromfield’s Big House all decked out for the Holidays! Enjoy freshly baked cookies and hot cider; you may even see Santa Claus himself. Visit our beautifully decorated Manor House. Take a self-guided tour through the newly decorated 40-room Manor House. Beautifully decorated trees will be adorned throughout the home. 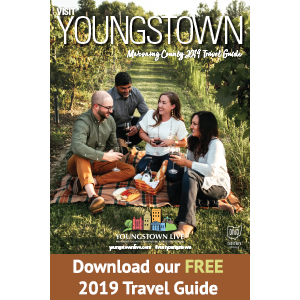 Children will also have the opportunity to make a craft and the entire family may enjoy a wagon ride and a warm fire, while roasting marshmallows. Local choirs will perform each evening. BE SURE TO ARRIVE AT LEAST AN HOUR BEFORE CLOSING. NO REGISTRATION REQUIRED. Do not miss this thrilling opportunity to see New York City quality dance in Canton! New York City Ballet principal dancer Sterling Hyltin in the leading role of Sugar Plum Fairy. Bring your kids and grandkids to see Santa and Mrs Claus here at MAPS. NOTE: Bring your smart phones or cameras to get a picture of your loved ones with Santa. 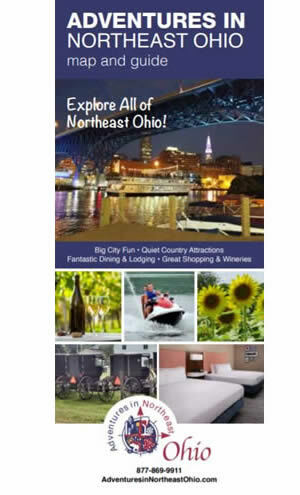 Entry is free but please bring in a food donation for the Reserves/National Guard Family Services Food Pantry that services the troops stationed at the Akron Canton Airport. 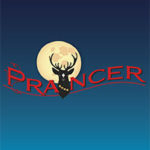 When an injured reindeer appears in Jessica’s backyard, she believes it is Prancer. She also believes in miracles, friendship, and devotion. This play will sneak up on you, gently settling itself into your heart. 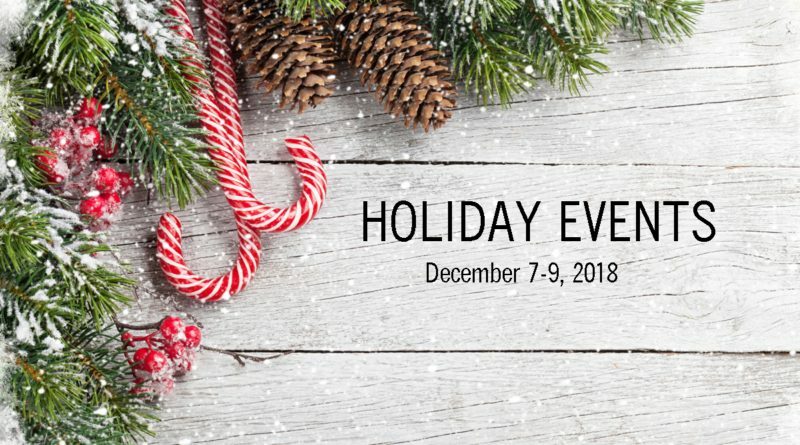 Ice skating, Santa, s’mores, special themed entertainment, carolers, adult beverages and so much more are available during the event. Learn successful baking techniques from seasoned baker and Kitchen Category Manager, Amy Murray. Amy will demonstrate how to make light, airy dinner rolls, cinnamon rolls and more – from mixing the dough to the right consistency to shaping into loaves or rolls. She will cover different types of bread and loaf pans, as well as the pros and cons of each. At the end of the class, attendees will sample the fresh bread served with Lehman’s jams and jellies! Amy has been a part of the Lehman’s team since 2010. She loves sharing her passion for baking with others, so don’t be surprised if you leave this class totally inspired. Bring the whole family for a captivating holiday performance, featuring Wayne Center Ballet Pre-Professional dancers and professional guest artists. Join us to share some seasonal cheer at the farm’s open house. We’ll have carols played on the player piano, cookie decorating, ornament making, and other activities for the whole family.